That is, until fall 2014, when a local entrepreneur decided to present his own version of Taco Flats to our city. 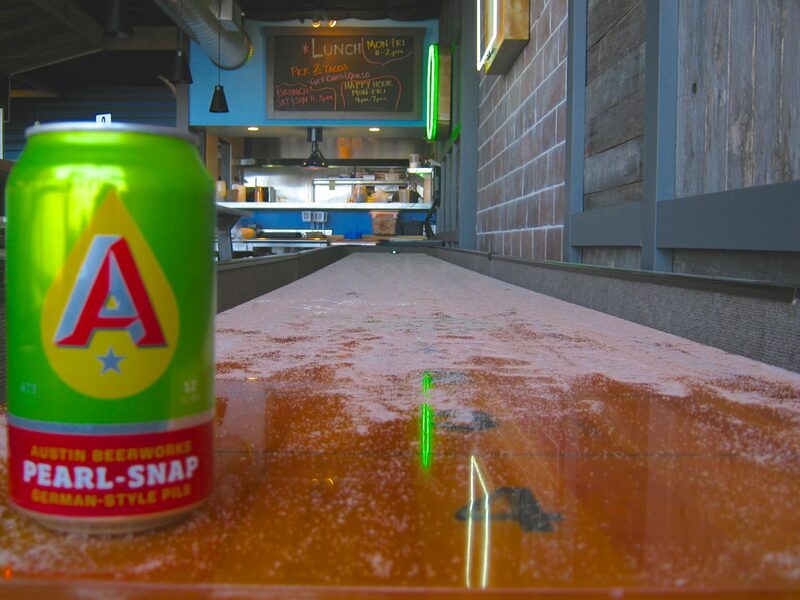 Today, the taco joint and bar is the latest addition to Burnet Rd. What resulted from my recent visit was a pleasant taco experience in one of my favorite parts of town. For a good taco and drink in a friendly environment, Taco Flats is a great bet. The space is open and comfortable. 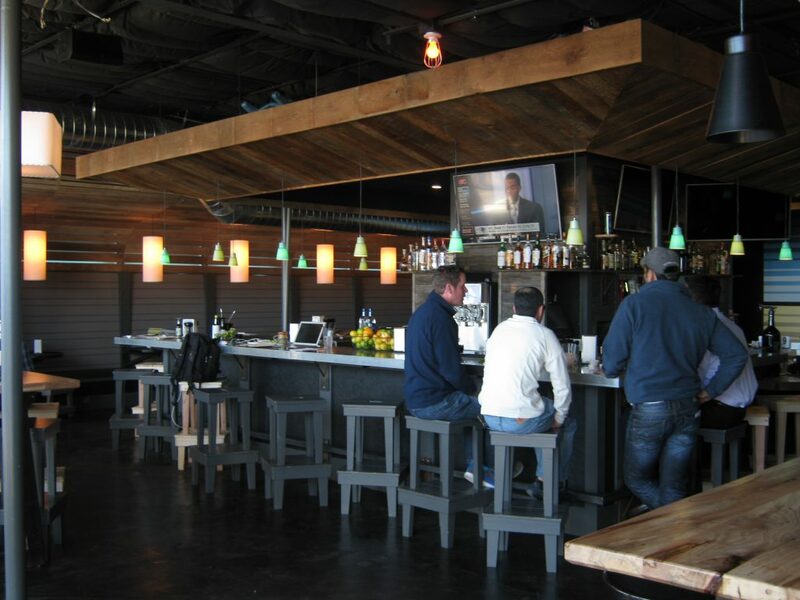 Bar stools line several long high top tables, but more intimate table seating is available as well. There are plenty of televisions and a shuffleboard along the north wall. According to some Yelpers, you order your food at the kitchen window and your drinks at the bar. During my visit, I was able to get friendly service from the bartender directly from my table. The dining experience could be enhanced with a greeter or a sign explaining the process of ordering food or a drink. Left: Bar stools not your thing? Take a seat at one of their tables. Right: More seating inside of Taco Flats. The menu at Taco Flats features appetizers with items such as queso, nachos and tortilla soup. Also on the menu are sandwiches, but tacos are the specialty. The tacos all start with your choice of a homemade corn or flour tortilla made by owner Simon Madera’s mother. The corn tortillas hold together very well and lack the bitter flavor most store bought corn tortillas have. 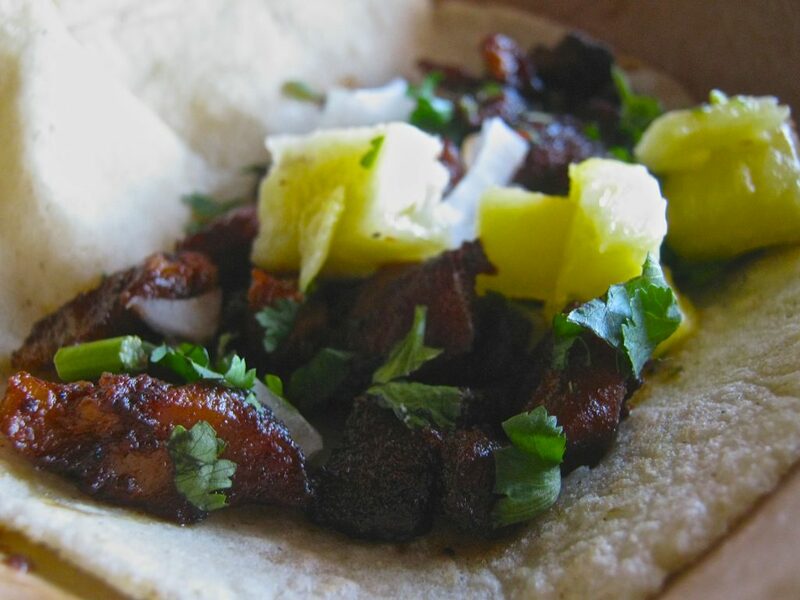 The Al Pastor taco features well seasoned pork with pineapple, onion and cilantro. The pork is cooked in the traditional way and the pineapple adds a pleasant sweetness to balance it out. All together, this taco is flavorful and juicy. The pork in carnitas tacos is braised or simmered for hours and often gets overcooked and tough. That’s definitely not the case with the carnitas taco at Taco Flats. On a homemade flour tortilla, the pork has really good flavor and is tender. The radish provides an easy crunch and extra bite at the end. But what really brings the ingredients together is the salsa. Packed with flavor, this mild salsa elevates the taco to another level. The carnitas taco on a flour tortilla. Perfectly cooked! Something for our vegetarian and vegan friends, you ask? The El Niño is simple: refried black beans with cheese. The beans taste great without being greasy, while the cheese adds a nice saltiness. With this taco, I decided to forgo a corn or flour tortilla. Instead I ordered it with a Jicama “tortilla.” Jicama is a round root vegetable with texture like a turnip, but with a flavor resembling a slightly tart apple. What a unique way to serve a taco, and for the El Nino it was the perfect option. As a $0.25 add on, the jicama tortilla is definitely the sleeper item at Taco Flats. With Aaron Frescas of Midnight Cowboy and Highball behind the cocktail menu, you can count on a delicious drink to accompany your food. Try the Paloma (grapefruit soda, mezcal, fresh lime juice) which is a good substitute for a margarita. On tap are over 30 beers, including local favorites. For me, as much as I enjoy trying new beers, when it comes to tacos there’s nothing more refreshing than an Austin Beerworks Pearl Snap Pils. The new Taco Flats is led by owner Simon Madera. Once the Rio Grande Valley native received the blessing from previous Taco Flats owner Linda Steele, he decided on creating a menu with basic but well made tacos.” “We’re just trying to give people good food with simple but very good ingredients,” said Simon. But with so many Austinites carrying fond memories of evenings at the old Taco Flats, does this new incarnation stack up? The nod to the Taco Flats of yesterday lies in preserving the original mindset. “We want to be a neighborhood place where everyone feels welcome. A place that you want to go into, enjoy our food and drink, and just hang out.” The goal is to create something new, while preserving as much of the old as possible. 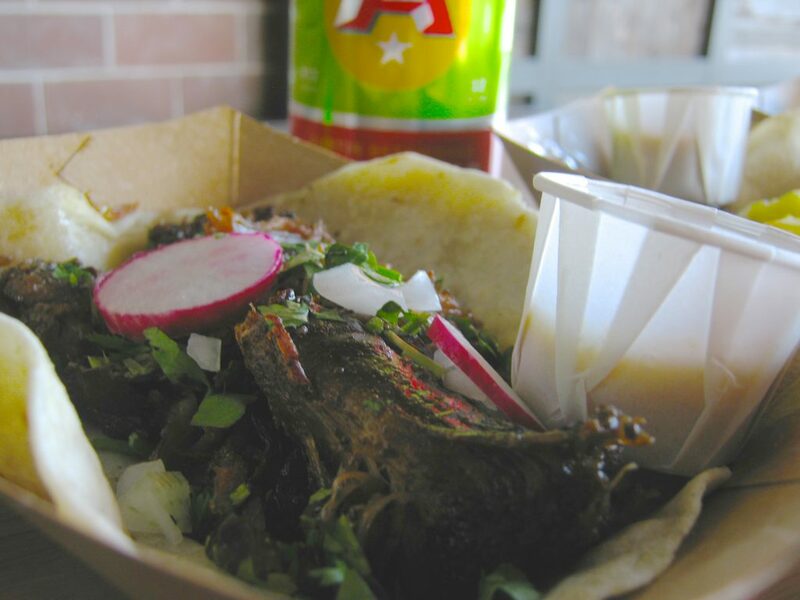 Tacos hold a special place in the culinary and cultural space of Austin. They’re a food item that bring a lot of people together and can be as simple or as complex as the imagination allows. And many places in Austin do tacos really well. And while they’re not setting out to be an exact replica of the old Taco Flats, their goal is to preserve the former spirit of being a place where you can enjoy a beverage or taco and feel comfortable creating your own memories. What are your favorite tacos in Austin?